These country forged wall toughs, window boxes, wall baskets and hanging baskets are called the Country Forged range and are heavy duty garden planters made from solid steel square sections with strong welding. 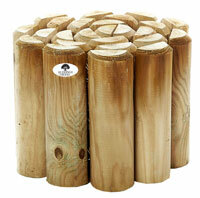 These planter boxes will enhance the garden and patio areas with colour and interest throughout the year. All this range of flower boxes and hanging flower pots are finished with a black powder coating finish which allow all year round use, preventing discolouring and rusting. Traditional styled iron window boxes features decorative twist rod and wall mounting eyelets for easy fixing. These window planter boxes Includes premium quality coco liner. This window box planter is manufactured from heavy duty square 9mm steel for maximum strength, durability and extra-long life. This large outdoor planter is Ideal for hanging under window. These metal planter boxes are finished with a tough and durable weatherproof black powder coated finish. Traditional styled metal outdoor planter boxes features decorative twist rod and wall mounting eyelets for easy fixing. 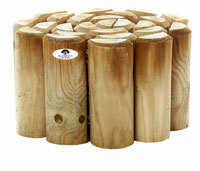 These hanging planter boxes Includes premium quality coco liner. This window garden box is manufactured from heavy duty square 9mm steel for maximum strength, durability and extra-long life. This long planter box is Ideal for hanging under window. These black window boxes are finished with a tough and durable weatherproof black powder coated finish. Traditional styled metal outdoor window boxes features decorative twist rod and wall mounting eyelets for easy fixing. These metal baskets Includes premium quality coco liner. This trough planters is manufactured from heavy duty square 9mm steel for maximum strength, durability and extra-long life. This wall mounted wire basket is Ideal for hanging under window. 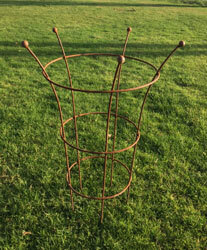 These hay rack are finished with a tough and durable weatherproof black powder coated finish. Traditional styled metal flower boxes features decorative twist rod and wall mounting eyelets for easy fixing. These narrow window boxes includes premium quality coco liner. This decorative window boxes is manufactured from heavy duty square 9mm steel for maximum strength, durability and extra-long life. This under window planter box is Ideal for hanging under window. This black planter box finished with a tough and durable weatherproof black powder coated finish. 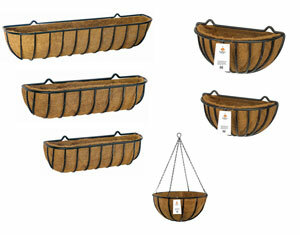 Traditional styled hayrack planter features decorative twist rod and wall mounting eyelets for easy fixing. 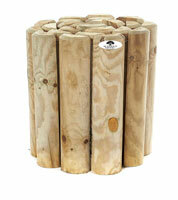 This wall manger includes excellent quality coco liner. This decorative wall basket is manufactured from heavy duty square 9mm steel for ultimate strength, endurance and extra-long life. This wall trough planter is Ideal for hanging under window. 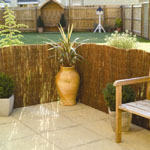 This garden wall basket is finished with a tough and durable weatherproof black powder coated finish. Traditional styled hanging wall planter features decorative twist rod and wall mounting eyelets for easy fixing. 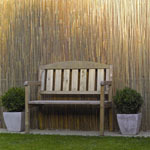 This outdoor planter includes excellent quality coco liner. This wall mounted basket is manufactured from heavy duty square 9mm steel for ultimate strength, endurance and extra-long life. This outdoor wall planter is Ideal for hanging under window. This raised planter box is finished with a tough and durable weatherproof black powder coated finish. Traditional metal hanging basket with decorative twist and black coated chain. This hanging pots Includes quality coco liner. 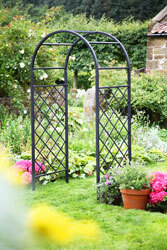 These wrought iron hanging baskets are made from black powder coated steel. Traditional large metal hanging basket with decorative twist and black coated chain. This hanging flower pots Includes quality coco liner. These outdoor hanging baskets are made from black powder coated steel. 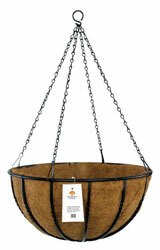 Traditional large metal garden hanging basket with decorative twist and black coated chain. 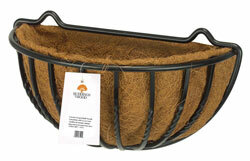 This wall hanging basket Includes quality coco liner. These iron hanging baskets are made from black powder coated steel.